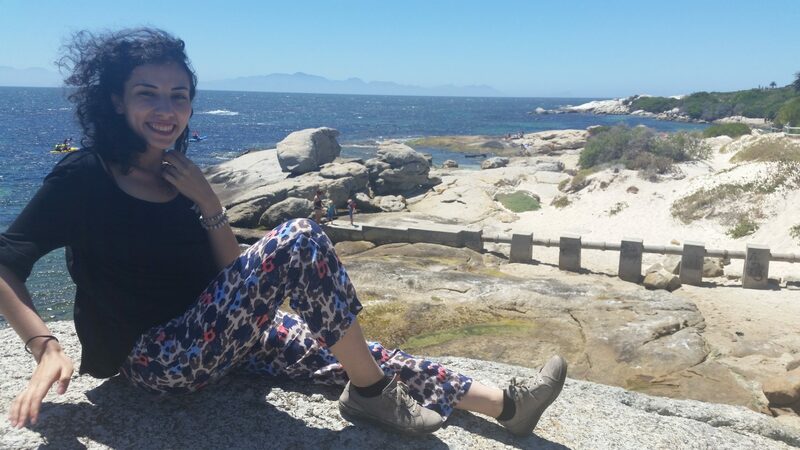 Aysegül participated in a counseling & psychology internship in Cape Town with VACorps in 2018. “I came to Cape Town to receive some answers to essential questions that I could never ever get at the place that I call home. I wanted to find myself in a completely different culture and environment with no familiar face in order to figure out how independent I really am. Eventually, I came to the conclusion that I am able to live on my own, to set boundaries and to master uncomfortable situations in general as a young woman. I have never felt unsafe because I knew that VACorps would be there and help me with my concerns and they did!!! I was never homesick during my stay in Cape Town because this place charmed me and made me stronger. “My experiences at my internship site were amazing! I managed to develop myself and to improve my communication skills and to get insight into Cape Town’s Psychiatric System. I loved my internship site because I had the opportunity to be very close to the patients and better understand their perspectives and cultures. I was able to participate in one-on-one therapy sessions and could contribute my knowledge and reflections into the therapeutic process. Moreover, I became more and more self-confident during the two months and I was even able to lead two groups. I thought that I would not be able to do that because of not being a Native English speaker (and this my first trip to an English speaking country), so this was a pleasant surprise. All in all, I was very grateful for the opportunities at my internship site. For future participants, I would remind you that it’s important to be open-minded, flexible and brave in order to grow as a person. My supervisor and the staff members were very welcoming and supportive. That internship was the best part of my studies and I know that I have achieved the thing I came for!